This depends on your personal comfort levels, although it is recommended every year. Various surveys from reputable organisations (e.g. WHICH?) have concluded that floor coverings can be up to 7 times dirtier than the pavement outside! 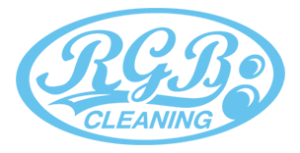 We are fully trained, qualified and certified by the ‘National Carpet Cleaning Association’ (NCCA) who monitor and unofficially govern our business to meet industry standards. We have a comprehensive public liability insurance policy (up to £2,000,000). This policy includes accidental damage to your property. Do we guarantee our services? Yes. We want all our customers to be completely satisfied, our reputation matters. Should you not be completely satisfied we promise to revisit free of charge. Please note, this is not an insurance backed guarantee. Do we charge per job or per hour? We provide a clean and safe service that is child and pet safe, using environment friendly products. How long will take for my carpets/upholstery to dry out? Your carpets should be touch dry within 2 hours. If drying times are an issue we can use powerful ‘air movers’ to speed up drying times. Is it possible to do the cleaning when the customer is out? Yes. We would agree access with you prior to arrival. Can I get the cleaning carried out at the weekend?